Hey, y'all! Do you ever see a project online and just KNOW you have to try whatever technique was used to create it? 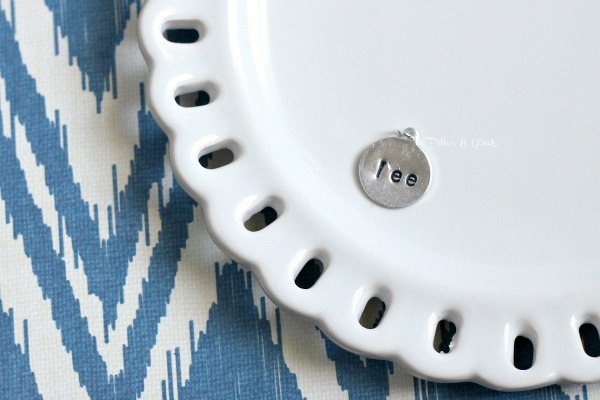 My friends Adrianne of Happy Hour Project and Amy of One Artsy Mama often post these awesome metal stamping projects. Every single time I see that they've posted a new metal stamping project, I always think to myself, "I MUST try metal stamping!" This past week, I decided that I needed to stop thinking about it and just DO IT. 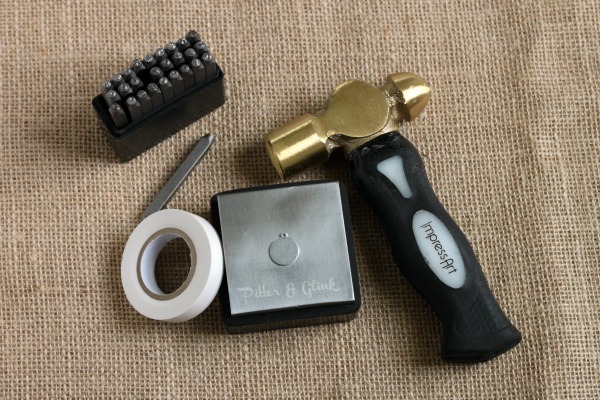 I was sent all the supplies needed to try metal stamping for the first time from the folks at Goody Beads. Today I want to show you my very first metal stamping project. Please keep in mind that I'm honestly showing you the VERY FIRST piece I ever metal stamped in my life, so it's nowhere near perfect, but I want to keep it real with y'all as always. I'll admit that I was nervous to begin this project. 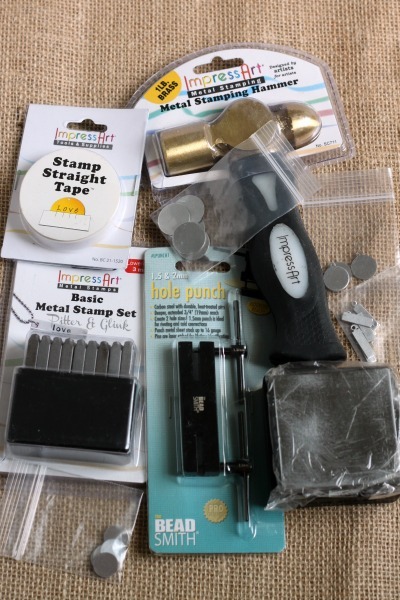 While it's true that Goody Beads sent me the supplies to try metal stamping, I still didn't want to make a mess of my first project. 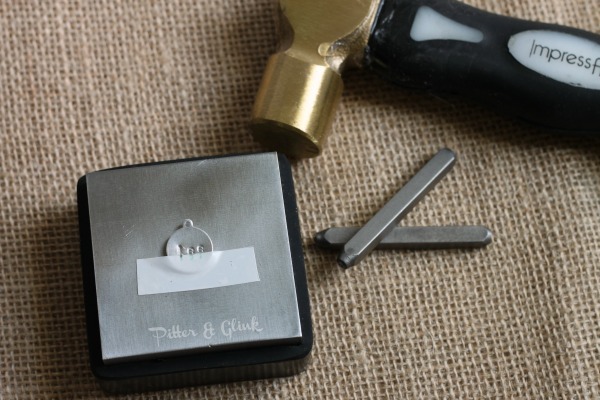 Fortunately, Adrianne has an AWESOME beginner metal stamping tutorial. I carefully read her tutorial and felt so much better about starting the project. 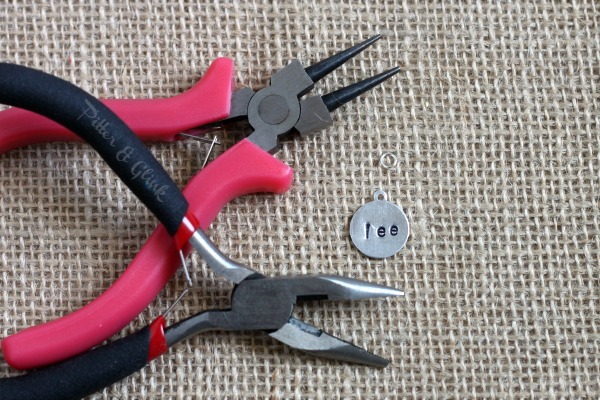 (If you want to try metal stamping, I strongly suggest you read her tutorial as well.) To begin, I taped my metal blank to my bench block. 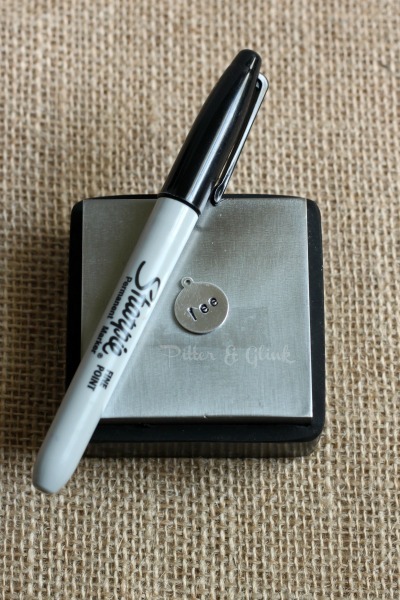 This helps hold the blank in place, and, most importantly, helps you stamp your letters straight. 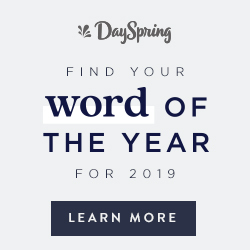 I wanted to try an easy word to begin with, so I went with my last name, which has three letters. I made three evenly spaced marks on my stamping tape with a Sharpie to help me space my letters correctly. Then I simply lined up each letter stamp and hit it REALLY hard with my hammer. At this point of the process, I was thinking of Bob Ross's advice for cleaning paint brushes, "Just beat the devil out of it." I feel like I definitely beat the devil out of my stamps. I didn't do too poorly for my first try. I ended up with a small scratch between the L and the E, and, honestly, I think I must have applied my tape a little crookedly because the word ended up a little crooked in my opinion. Also, I bent the blank a little when I hammered it, so I flattened it by hitting it with a nylon hammer. As you can see in the above pic, the word doesn't stand out that much. There's one more step in the stamping process to make it pop. 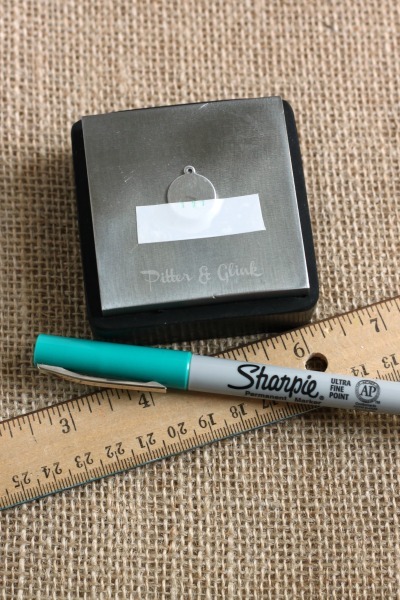 Color over the letters with a black Sharpie and wipe the excess marker off with a paper towel dampened with alcohol. To finish off the charm, I attached a small jump ring to the metal blank so that I can attach it to a chain later on. 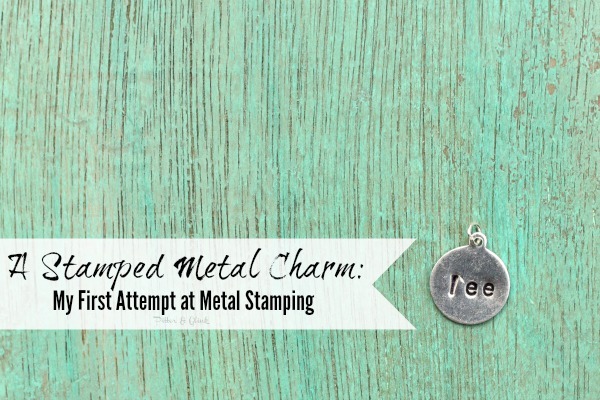 So what are my thoughts about metal stamping and was it all that I hoped it would be? Honestly, it was actually easier than I thought it would be. No, my first piece isn't perfect, and I have a lot to learn, but I don't think I did too badly for my first time. And I'm pretty much addicted now. Adrianne warned me that I would be. She was right. 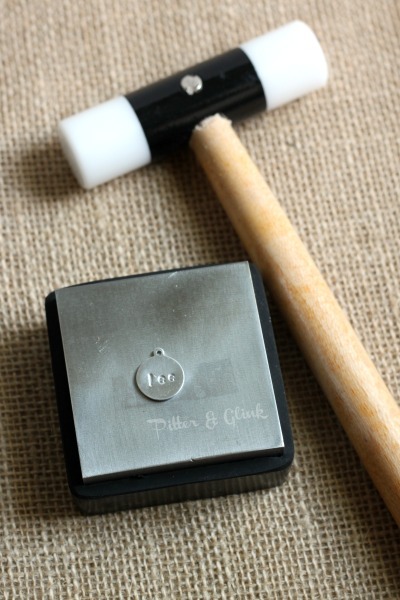 I already have another metal stamping project complete to share with you tomorrow, and I think you're going to love it. Before I go, I'd like to thank the awesome Goody Beads for the supplies for this project. Thanks to them I now have a new crafting addiction! Disclosure: While Goody Beads supplied the materials for this project, all opinions are 100% mine. 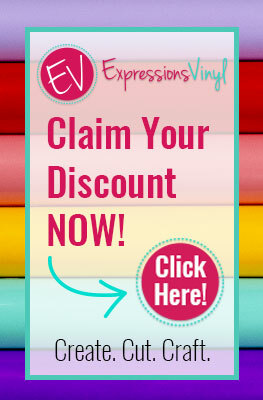 For more info about my disclosure policy, check out the fine print tab at the top of the page.